The Greatest Showman is one of those films that wants very badly to please its audience; so much so that each musical number seems to be a new plea - "Do you like me yet? Are you entertained yet? How about NOW?" It's the kind of wannabe crowd-pleaser that tries so hard to be likable that it pulls out all the stops, cranking out showstopper after showstopper in an "everything but the kitchen sink" attempt to wow and delight. This is no Moulin Rouge, however, and first-time director Michael Gracey doesn't quite have Baz Luhrman's sense of pop panache (or emotional honesty). One never escapes the feeling that what we're watching is a fake, a put-on, a flashy spectacle with no real substance, much like its eponymous showman. 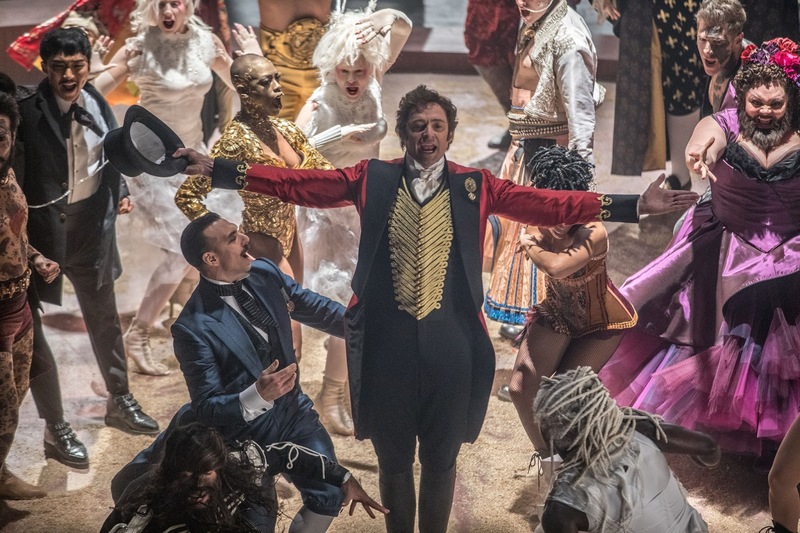 The Greatest Showman depicts P.T. Barnum (Hugh Jackman) as a benevolent huckster out to make a name for himself and a comfortable life for his family by giving audiences something they had never seen before, seeking out those that society deemed "abnormal" and celebrating them rather than sneering at them, offering them a chance at the spotlight they never had before. This is a patently ridiculous angle, of course. The real life Barnum was exploiting these people in a "freak show" for people to gawk and laugh at them, not venerate them. But the film paints him as a benevolent altruist who wanted to diversify show business. It's a very 2017 take on a decidedly NOT 2017 man. Still, gaping historical dishonesty aside, The Greatest Showman is a generally likable, if overstuffed, piece of entertainment. 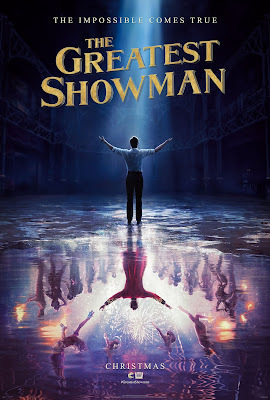 Gracey has a striking visual flair, and Jackman is charming in the lead role, showing off his song and dance skills with great aplomb, while Zendaya's trapeze artist and Keala Settle's bearded lady provide additional highlights. It's hard not to appreciate a film that so un-ironically embraces an old fashioned song-and-dance aesthetic and does so without any sense of self-consciousness. Make no mistake, however, numerous dance numbers aside, The Greatest Showman is a thoroughly modern affair, and its insistence that bigger is better often feels more assaulting than endearing (La La Land it isn't). The problem is that there is no real emotional hook. Just as Jackman's Barnum strives to be taken seriously by society, so too does the film desperately try to be a "serious" film. It wants us to know that what Barnum did was IMPORTANT (TM), when what it needed was a little less glitz and glamour and a little more of the shameless, disreputable licentiousness that made the man unique (taking some cues from Burlesque might not have hurt). It's stuck in a strange in-between place, neither campy enough to be fun or good enough to be truly memorable. In the end, just like Barnum himself, it's all a fraud. THE GREATEST SHOWMAN | Directed by Michael Gracey | Stars Hugh Jackman, Zac Efron, Michelle Williams, Rebecca Ferguson, Zendaya, Fredric Lehne, Yahya Abdul-Mateen II, Paul Sparks, Diahann Carroll, Keala Settle | Rated PG for thematic elements including a brawl | Now playing in theaters everywhere.